This is Scrimp and Save. Niagara’s best source for savings delivered right to your mailbox and online every month! Everyone loves a quality bargain, and we have plenty of them. 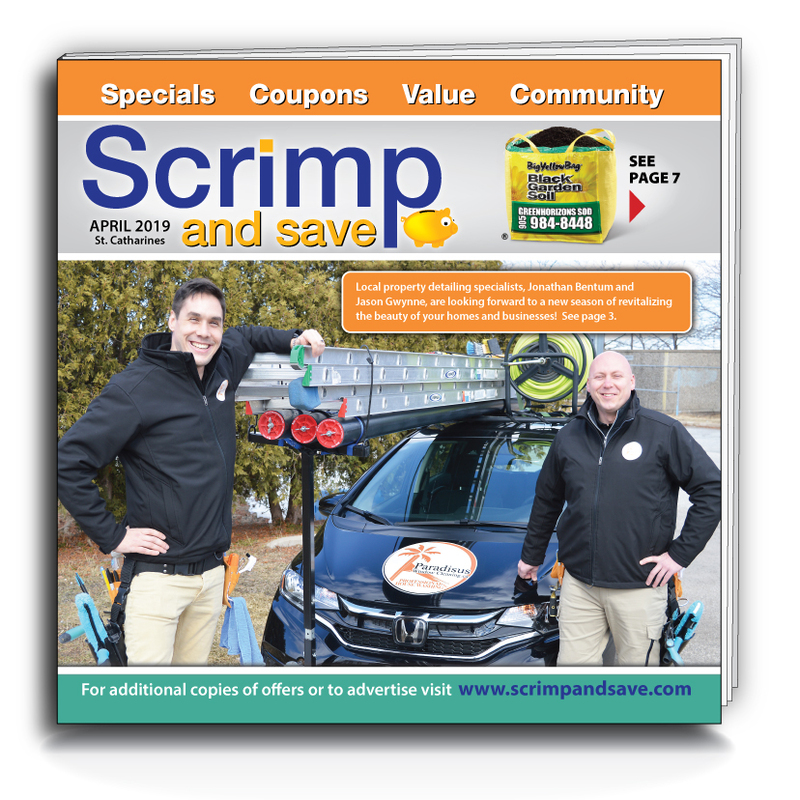 SCRIMP and SAVE features Niagara’s best deals, presented in an attractive, compact and easy-to-use booklet. Inside SCRIMP and SAVE, you’ll find great savings on a wide variety of quality products and services sold in the Niagara region. Enjoy a night on the town, stylish home furnishings, footwear and fashion, sporting goods, home decor and improvements, pet services, dining out and specialty services – all at exceptional savings. Check out and print our current offers and coupons and watch for upcoming issues delivered to your mailbox. You never know what you’ll find in your next issue of SCRIMP and SAVE!DID YOU KNOW? We deliver over 113,500 SCRIMP and SAVE booklets via Canada Post every month in the Niagara area!